At the end of the academic year, the Silver and Bronze Award winners will receive a certificate. The Gold Award winners will receive a $50 book coupon on top of a certificate. 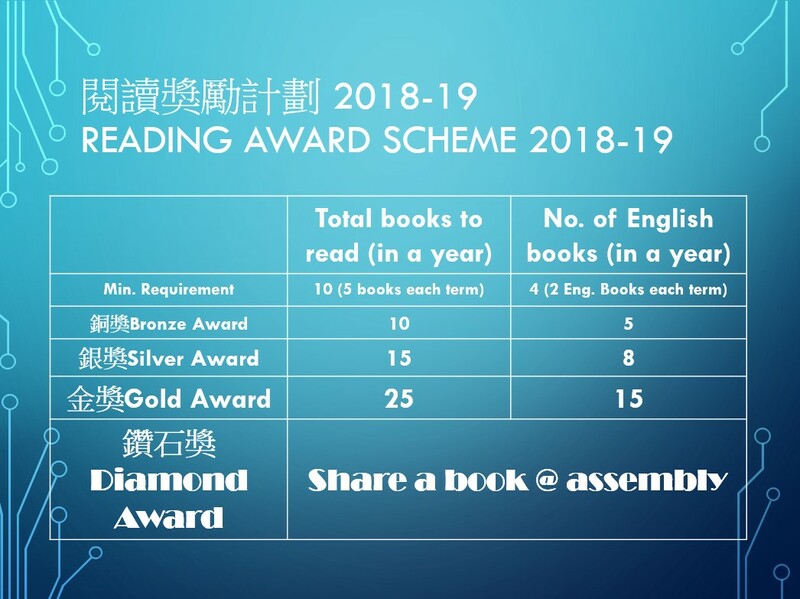 As for the Diamond Award, 2 students from each Form 1 and Form 2 classes will do a book presentation during the Form Assembly in Term 2 (late April to early May). The winner will be awarded a $200 book coupon, a trophy and a certificate.